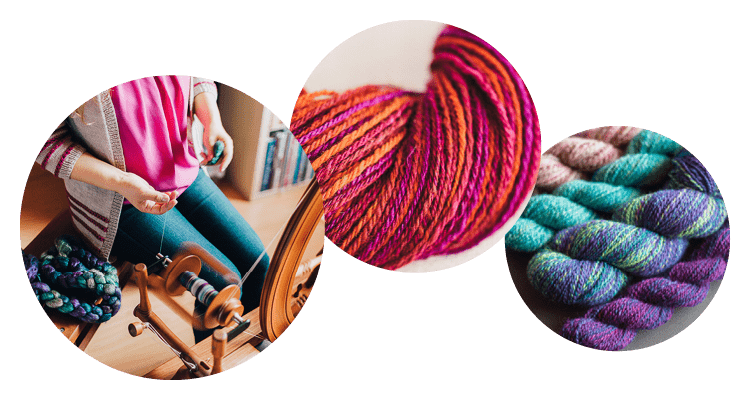 For everyone who has ever been just the slightest bit curious about how yarn is made, I encourage you to join us as we learn how to spin our first yarn. 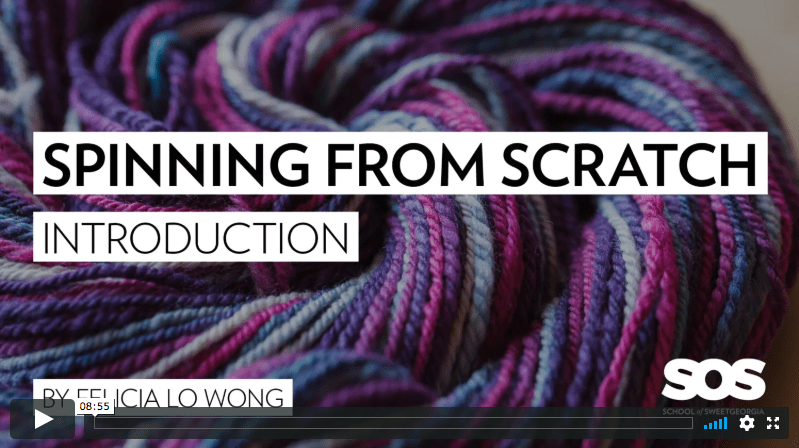 Learning how yarn is made is the very best way to improve your skills as a knitter or weaver. By learning to spin, you’ll gain insight into what characteristics of a yarn will make it more durable or resistant to pilling, or what types of yarn will be more suitable to lace knitting, or simply how to substitute yarns for a knitting project. Not sure if the School of SweetGeorgia is right for you? These workshops are meant to serve as a foundation for future spinning courses and learning. My goal is to introduce the most fundamental spinning techniques to those who are curious and intrigued about creating their own yarns. And then together, we can move forward towards more intentional techniques for spinning exactly the kinds of yarns you want. 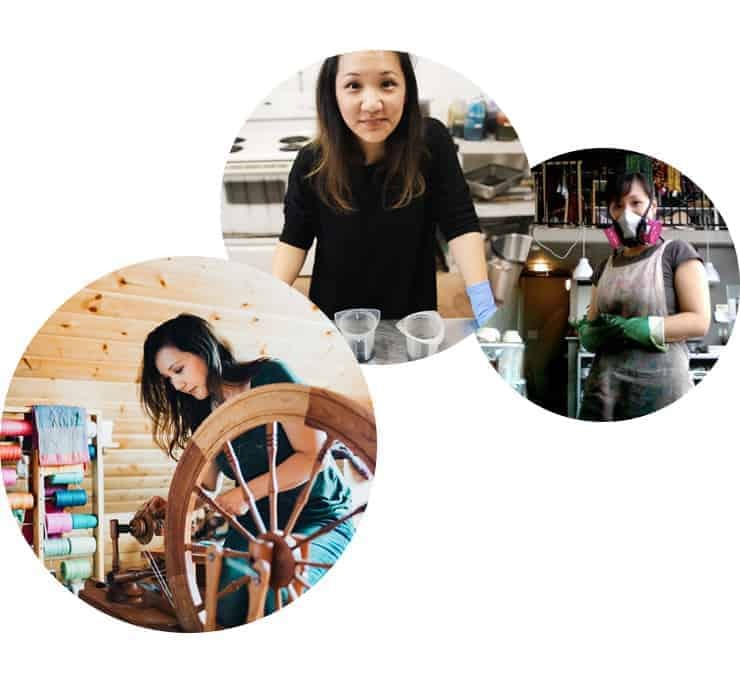 In 2005, Felicia Lo founded SweetGeorgia Yarns, an artisanal hand-dyed yarn company. Starting out with just three skeins of yarn for sale on the newly minted Etsy.com, demand soon exploded within a matter of months. Over the past decade, SweetGeorgia Yarns has grown into a team of skilled craftspeople and artisans led by Felicia, who also teaches fibre arts fundamentals including dyeing, spinning, weaving, knitting, and color theory for crafters and artisans. Felicia is the author of "Dyeing to Spin & Knit" and teaches "Spinning Dyed Fibers" on Craftsy.com. Felicia currently lives and works in the Vancouver area with her young family. In this workshop, I demonstrate all the spinning techniques using a spinning wheel. Mine happens to be a Schacht Matchless Double Treadle wheel, but any modern spinning wheel should work. I also demonstrate drafting and spinning with a drop spindle. In addition, you might like to have some extra bobbins, a lazy kate, a niddy noddy or skeinwinder or swift, and some lovely wool spinning fibre to spin with. 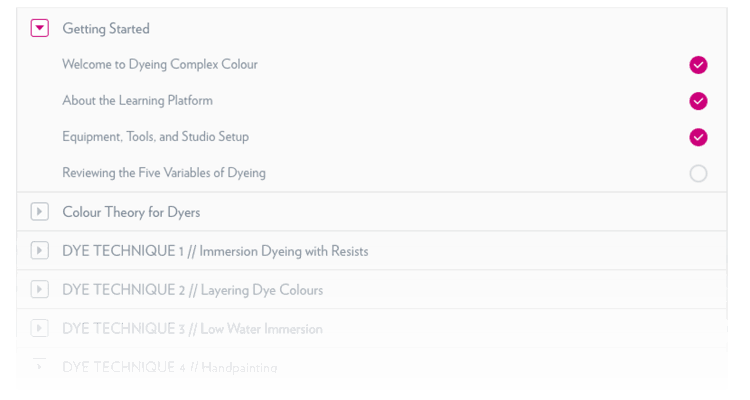 My dyeing style involves working with precision and intention as I create colourways, so you can join me as I lead you through the simple math calculations that are so helpful in preparing for an efficient and effective session in the dye studio. What kind of supplies or equipment will I need to take this spinning class? You will need a spinning wheel or drop spindle at a minimum, plus some wool spinning fibre to get started. As well, we encourage you to have several extra bobbins, a lazy kate, and a niddy noddy or skeinwinder or swift. We have the complete list of tools and supplies available for download to students.